The Australian Taxation Office (ATO) is ramping up its enforcement activities and will undertake 4,500 audits of taxpayers it considers are "high risk" because they overclaim or don't declare income relating to rental properties. ATO assistant commissioner Adam Kendrick said it would audit 2017-2018 financial year tax returns relating to rental investments that its data analytics systems had flagged as potentially problematic. He said about 85 per cent of about 2.2 million annual tax returns relating to rental properties were lodged through a tax agent, so the ATO would also work with tax professionals to make more taxpayers aware of potential errors. "In the past we have not had a really big presence around rentals, but we are really ramping it up now," Mr Kendrick said. Under Australia's negative gearing system, individuals can deduct any losses they make on investments, including mortgage interest, from their overall income when they calculate their tax liability. But Mr Kendrick said some taxpayers were abusing the law, and the ATO considered they were "high risk" because they either overclaimed deductions or did not declare income at all. He said the ATO was also concerned that occasional income earned through sharing economy platforms, such as Airbnb, was not being declared. Tax Commissioner Chris Jordan told the Tax Institute conference in Hobart last week that with more two million taxpayers claiming $47.4 billion in rental deductions, against $44.1 billion in reported income, "you can get a sense of the potential revenue at risk". Mr Kendrick said the agency would hope to have a clearer picture of how much revenue was actually being lost in this area following its upcoming audits. Mr Kendrick said the ATO was currently working with state revenue agencies, the real estate sector and sharing economy platforms to get more detailed information about rentals. Each year the ATO data matches more than 600 million transactions. "We're getting more and more data all the time," Mr Kendrick said. 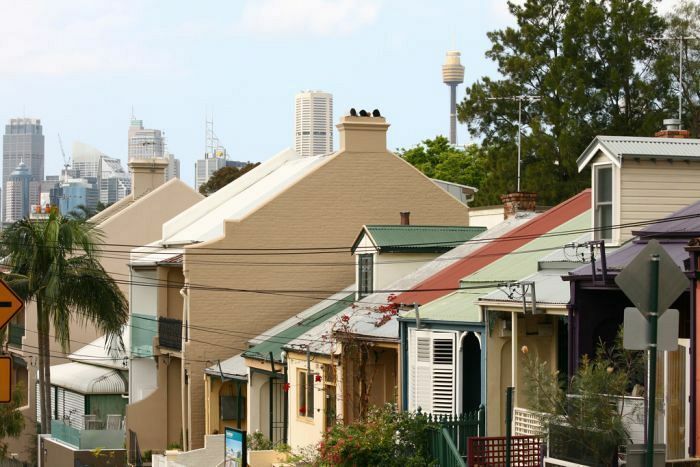 The ATO was piloting a program with the Real Estate Institute to hand over property management reports prepared by real estate agents for individuals who rent out their property. The information contained in these reports — such as council rates, management fees and other costs — could then be used to pre-fill tax returns, he said. The ATO hoped to roll the change out next financial year. Previous audits yield $12 million. The ATO had previously undertaken limited audits of rental deductions claimed for the 2016-2017 tax year, which Mr Kendrick said uncovered a handful of agents that had deliberately had falsified claims or made claims for properties that do not exist. The ATO had carried out 300 randomly selected audits, as well as 2,500 targeted audits of taxpayers with higher-than-normal rental deductions. He said the efforts had resulted in some tax returns being adjusted and about $12 million of extra revenue flowing in that year. Common errors in returns included where owners of a rental property incorrectly apportioned claims. Mr Kendrick gave the example of a husband and wife where the wife might earn more than the husband, and therefore have a higher tax rate. To reduce her tax rate, and thereby get a bigger deduction, the claim is made wholly in her name. He also noted errors in claims made for capital improvements. He said people were making claims for items in the same year as the expense occurred for items that should be claimed at 2.5 per cent over 40 years. "Say you have to replace hot water system, or washing machines — those are things you have to depreciate over the effective life of the asset," he said. With about $22 billion in deductions claimed for work-related expenses annually, the ATO has long been concerned about the potential revenue leakage. Mr Jordan told the Tax Institute last week that the ATO's efforts in targeting taxpayers incorrectly reporting or overclaiming work-related expense deductions were "beginning to pay off". For the first time in almost 25 years, the average work-related claim decreased, Mr Jordan said. It fell on average by about $130 over the past two years, and the estimated revenue gain for that same period would be about $600 million. Mr Kendrick told ABC News the average claim in 2015-2016 was $2,561, and this had dropped to $2,429 in 2017-2018. He said common mistakes related to areas that people assume were standard deductions, but needed to be substantiated. For example, while the law did allow taxpayers to claim up to $300 in work-related expenses without a receipt, and up to $150 without a receipt for the costs of washing, drying and ironing eligible work clothes, the expense needed to actually be related to work, he said. Almost half of all taxpayers (about six million people) claimed they were required to wear uniforms, protective clothing or occupation-specific clothing totalling about $1.8 billion in 2016-2017. And while up to 5,000 kilometres of car travel does not require a log book, it still needs to have occurred in relation to your work. In 2016-2017, 3.75 million taxpayers claimed $8.8 billion in work-related car expense claims. About 870,000 people claimed exactly 5,000 kilometres. Mr Kendrick said last financial year about 3 million taxpayers using myTax were being "nudged" in real-time to amend their tax returns if their claim was out of step with the average in their occupation. He said last financial year the ATO nudged about 180,000 people and about 80,000 of them reduced claims instantly, which resulted in about $25 million in additional revenue being collected for 2016-2017. The agency also wrote to the remainder (about 100,000) asking them to reduce their claims, and a portion of those (2,500) were audited. Mr Kendrick said this was evidence that incorrect or overclaimed work-related expense deductions were responsible for the bulk of revenue the ATO thought was lost every year by individuals. The ATO's theoretical tax gap for individuals is $8.7 billion and the ATO estimates about $3.5 billion of that is related to work-related expense deductions. The ATO would next send real-time nudge messaging to agents preparing individual tax returns if claims were considered higher risk. The agency expects about 800,000 taxpayers who use a tax agent may receive this message. It would also write letters to about 100,000 "medium- to high-risk" taxpayers who prepare their own return, he said. And it would be auditing about 500 tax agents (representing about 1 million clients) who it suspects are "reckless" in that they deliberately overclaim. Mr Kendrick said there were about 150 tax agents that were "under active management", and the agency would be increasing its focus in this area. "That means we take a pretty intensive look at not just their clients, but their [agent's] own personal [tax] affairs," Mr Kendrick said.